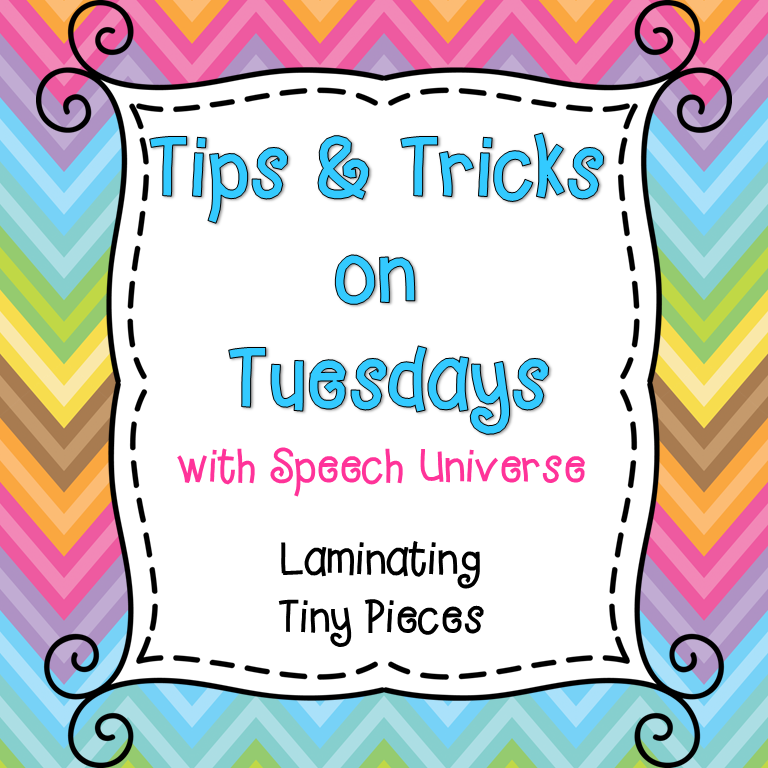 Have you ever had a few tiny pieces that were cut up, but that you really wanted to laminate. So many times, I have put loose pieces into a laminating pouch and then placed them in the laminator, only to have them move around, fall out, or end up on top of each other. What a mess! I have discovered a quick, easy way to get these tiny pieces laminated with no mess, or frustration. Two words...glue stick. I simply take a glue stick and put a small dot on the back of whatever I want to laminate. Then, I put it into the laminating pouch and press down just like I would to make the piece stick to paper. When I am done, I have a whole sheet full of loose pieces, but they won't fall out when I move the sheet to the laminator. When I get it to the laminator, I can just place it into my laminator and can turn away. The pieces will not fall out, and they will not move. WOO HOO! 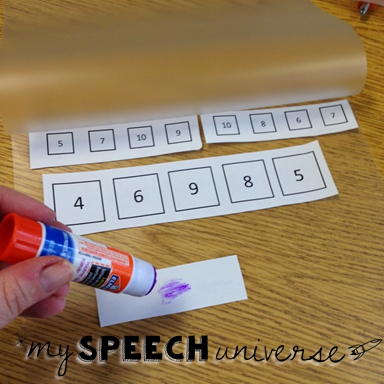 An easy peasy way to laminate those tiny pieces that always drive me crazy! Hope this tip helped! If it did, please share with a friend. This is a great idea! I will have to try it next time I laminate little pieces. Getting to Know Your Favorite Online SLPs!